Ephemeral Project (Ep/64) & Duruflé Trio performed live in the Resonance FM studio this Saturday lunchtime (08.10.16). Also, a pre-recorded interview and live bootleg recording from Seth Faergolzia’s Multibird. 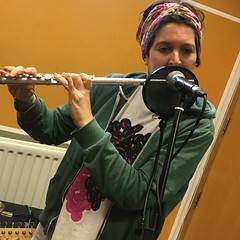 This entry was posted in dexter bentley, hello goodbye show, Hello GoodBye: Playlists, resonance fm and tagged dexter bentley, Durufle Trio, Ep/64, Ephemeral Project 64, hello goodbye show, Multibird, resonance fm, seth faergolzia. Bookmark the permalink.